When you’re getting ready to buy a home, you spend a lot of time looking at mortgages, rates, closing costs, and determining how much everything will end up costing you. You research mortgage companies, find out their reputations, and typically settle on one that has the most favorable terms, the lowest interest, and a strong financial background. And then, after the home and sale has gone through, you notice that the name of the lender is completely different than the company that you chose. After all that research and deliberation, your mortgage has been sold. It can be daunting, and a little unnerving. Here’s what you can expect. The person that you will deal with in person is the loan originator. They do all the paperwork, and they help you apply for the loan. The originator sends the application to the lending company. If you meet their guidelines, they approve the loan and you now have money to buy the house. The lending company may act as the servicing company as well, but more than likely they will sell it to another company. The servicing company is who you write your monthly check to in order to pay off the house. Your loan originator gets paid a commission for each mortgage that he or she places. The lender and the servicer, however, have to make their money back more slowly, usually over the course of 15 to 30 years. If the lending company serviced every loan that they funded, they would have to have many billions of dollars on hand to ensure they had the cash available to provide those loans. Most banks and institutions would quickly be strapped for cash if they serviced every single loan. Instead, they will bundle them together (usually a bunch of loans with similar risk levels), and sell them to investors (often government agencies like Fannie Mae or Freddie Mac). These investing companies sell them as bonds (you may even have some of your portfolio invested in them). By selling off the loan, the lending company now has money that they can lend to another prospective buyer. It’s a common practice for the lender to sell the mortgage, and it’s entirely legal for them to do it without your consent. What they must do, however, is provide you with a warning that your loan will be serviced by a different company. Both the old loan owner and the new loan owner must send you notification no less than 15 days before the transfer. The new lender must provide contact details within 30 days after the transfer is complete so that you know where to send payment, and how to get in touch if you need help. And don’t worry if you send payment to the old lender! You get a 60 day grace period, so your loan won’t be delinquent if you make a mistake with that first check going to the new company. What about the details of the mortgage? Your payment will stay the same (unless you have an ARM loan, in which case the interest could adjust). Your loan will continue to function the same as it did with the old lender, so if you had 19 years left until it was paid off, you still have 19 years left. The only difference is going to be the name of the company that you write on the check (and the address where you send it). One thing that may have a big effect on your finances are the terms for loan modification. 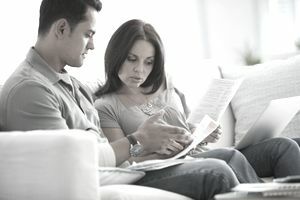 There are programs available that allow you to work with your lender to modify the terms of your loan so that it is easier for you to pay your bills (the interest rate may be reduced, the length of the loan may be extended, or the loan may be converted from variable to fixed interest). If your loan is sold during the time when you are going through the modification process, you will likely have to start all over. After all that work finding exactly the right company that you want to do business with, is there anything that you can do? What are your rights as the borrower when it comes to having your loan sold? When you sign the contract for your loan, there is a clause in most of them that say they have the right to sell the mortgage to another servicing company. If you’re getting a notice that your loan is being sold, you basically have two options: go along with it, or refinance with another company. If you have yet to sign the paperwork, there are ways that you can guarantee that your loan will be owned and serviced by the originating company. All you have to do is ask. Often big mortgage lenders, like nationwide banks, won’t make that promise. But the smaller and more local lenders, like credit unions, will. If you want to avoid having your mortgage sold, start your search with local banks and credit unions. The bottom line is that your mortgage is likely to be sold. It helps to keep interest rates competitive, it spurs the economy, and in all actuality, it’s not very likely to see any negative effects of the sale. But keep in mind that mistakes do happen. The process is generally seamless, but errors occur. If you notice that your payment has changed, the terms have changed, or something just doesn’t seem right, start by calling the new loan servicing company. If that doesn’t work to get things straightened out, you can file a claim through the Consumer Financial Protection Bureau.